In certain instances, the most efficient and manageable way to deal with property waste is to hire out a skip. Indeed, this will cost a certain amount of money and be somewhat more specific in terms of finding, choosing and using the right service, but nevertheless larger scale property waste management will be made easier and more efficient this way. Our skip hire in London is a very convenient, affordable and effective way to deal with property waste. 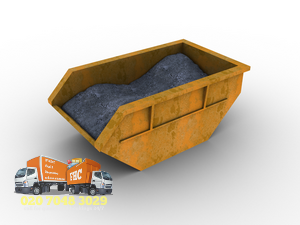 We have a number of different sized skips for hire, including the so called builder skips. Generally our skip rental in London works with four, six, eight and twelve yard skips. We will advise you on which is the most suitable skip size as per the scale and nature of the waste you need to collect and dispose of. 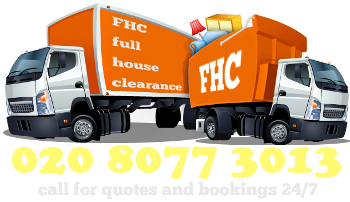 Our convenient skip hire service in London will give you the desired flexibility because we can collect the skip either after one week, or two weeks. Should you need us to collect the skip any time sooner or later, just let us know and we will sort out payment and paperwork over the phone. We also have an optional wait and load skip hire service in London. 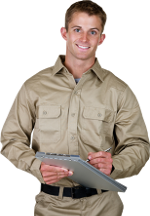 If you need to hire out the skip urgently, or need to have it collected asap, then you will find our same day or next day service quite convenient. In most instances, local councils require you to obtain a skip permit in order to place one such steel monstrosity outside your house, or along the footpath in front of your property. If there is no available room to place the skip within the bounds of your private property we will assist you and advice you on how to obtain the local skip permit if we cannot do this for you in advance. Also, we are a fully licensed, registered and insured waste disposal company, thus that we can expertly deal with disposal of different materials, items and substances. More so, we’ll advise you on what can and cannot be placed in the skip, and the amount of waste it can handle. Certain types of waste cannot be transported and disposed of via skip hire. Our London skip hire is an affordable and efficient way to deal with large amounts of waste. The London skip hire service we offer is available to both domestic and commercial customers.